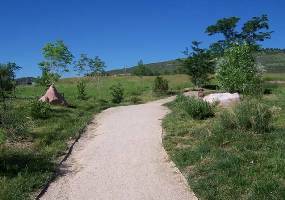 The City of Fort Collins Natural Areas Department encourages site management practices that focus on protecting, restoring, and enhancing native animal and plant communities. The Natural Areas Certification Program was created to provide natural areas management guidance to private landowners and non-City public landowners. Land certified as a natural area is managed by the landowner so that native animal and plant communities are enhanced, restored and protected. City staff provides assistance in the planning of this management. Landowners can feel proud that they are contributing to the Fort Collins community's goal of resource protection. Not only will they be providing higher quality habitat for the wildlife that they and their family enjoy seeing, but they will also be contributing to the protection and enhancement of the quality of life for all of Fort Collins citizens. Land certified as a Natural Area is eligible for the City's Natural Areas Enhancement Fund (Note: the Enhancement Fund is not accepting applications for 2019). This program was created to assist landowners in the implementation of their management plan. Thank you for your interest in the Certified Natural Areas program. The Natural Areas Department will not be accepting any certification applications for 2018/2019. The program is being re-tooled. Stay tuned for some exciting new resources and ways to provide nature in your neighborhood. In the meantime, subscribe to the Natural Areas newsletter to be the first to know about the new program when it is announced.